Qantas and Emirates announced additional network changes under the joint partnership that provides customers greater year-round frequency, and more services between Australia and New Zealand. These changes reflect customer demand and the airlines’ respective network strengths, providing more options for customers to travel between Australia and New Zealand to Asia, the UK or Europe, the Middle East and Africa. From March 2018, Emirates will stop flying from Melbourne and Brisbane to Auckland, and instead focus on its non-stop Auckland to Dubai service. 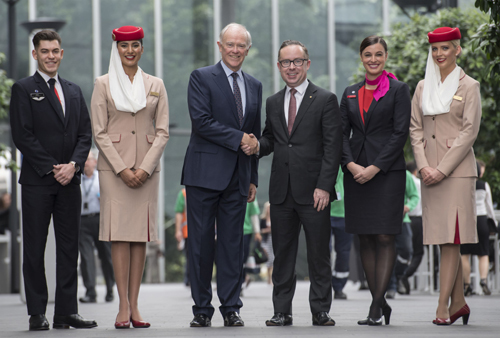 Qantas’ new trans-Tasman services will carry Emirates code, and connect seamlessly to Qantas’ London services via Perth or Singapore and Emirates’ services between Australia and Europe via Dubai.